Do you know of a historic building or site in Colorado that is threatened and in need of assistance? Nominate the resource to be one of Colorado’s Most Endangered Places! Please note mailed forms must be postmarked by 5 pm on Monday, August 16th to qualify. Nominations for 2020 may be submitted throughout the year. Awardees for 2020 listing will be honored at our annual Saving Places Conference in 2020. 1. Does nomination require approval by the property owner? No, while the support of a property owner can be critical to the preservation of a site, this is not a requirement to apply to the Endangered Places Program. 2. Does a property have to be listed on the National Register of Historic Places in order to be nominated? No, while this listing can be incredibly helpful in establishing significance and to acquire grant funding, it is not a requirement of the Endangered Places Program. Many of our sites, however, chose to look into National, State, or Local listing once they are selected to build support for the site. 3. Does being listed on the Most Endangered Places guarantee grant funding from the State Historical Fund? No, the Most Endangered Places Program developed as an advocacy tool and does not come with financial gains. Colorado Preservation, Inc. is not part of the State Historical Fund and listing of our site does not guarantee future funding. This being said, many of our sites have received State Historical Funds and our office can be a resource to assist with grant writing or in the management of a grant. Listing can strengthen the application by attesting to a level of urgency. 4. What’s the nomination process for being listed on the Endangered Places Program? 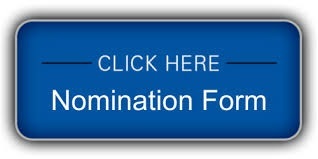 The first step is to send in a nomination form. All nominated sites will be divided regionally and assigned to a regional reviewer. This reviewer will visit the site and discuss the nomination form with interested parties. Nominated sites will be scored and ranked based on the criteria. The top ranked sites from each region will move on to the next round where reviewers will present the sites to volunteers of the preservation community. The sites will again be rated and ranked based on scores. The final selection will be made by a small committee comprised of Colorado Preservation, Inc. board members, interested reviewers, and preservation volunteers. Nominators can expect to hear by the end of December if they are selected. Selected sites will be officially announced in February at Colorado Preservation, Inc’s Saving Places Conference in Denver. All selected sites will be invited (and are encouraged to attend) this conference, in particular, the Endangered Places Luncheon. Prior to public announcement of the sites, Colorado Preservation, Inc works closely with CBS4 to develop small documentaries on the selected sites. These videos will be shown at the announcement of the list.